A kitchen is the busiest space in a home as it’s where you spend time preparing food for your family. There are diverse kitchen styles available to choose from based on your home interiors and budget. From traditional, modern, rustic to cottage, each style has its unique features augmenting the appearance of your kitchen. If you’re looking to remodel your kitchen, then this blog-post by Kitchen Nation is meant for you. 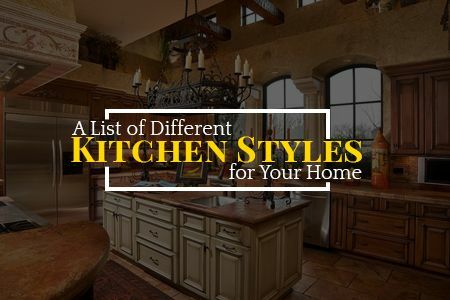 We are listing all the different kitchen styles that you can incorporate into your home. Keep reading to find out more. Traditional kitchens are known for their intricate detailing that includes arches, raised-panel cabinets, a chandelier, gaudy mouldings and corbels and antique-style furniture. They mainly feature dark-coloured wooden furnishing that increases the aesthetic value of your home. Transitional kitchens are a modern design known for saving a lot of space. All the kitchen cabinets and preparation area are placed in a compact manner to best utilize the space. Also, the ovens and dishwashers are placed inside the kitchen cabinetry creating a neat look. Modern kitchens are known for their minimalistic design. Frameless cabinets, sleek hardware, horizontal lines and a lack of ornamentation makes a kitchen look modern. This style is suitable if you love simple home décor. Also, this kitchen style is available in neutral shades and there is no presence of any dark-coloured kitchen elements. If you love rustic home décor which imparts a country-side vibe, then a rustic kitchen is a must for you. From floors to cabinets, everything is wooden which is why it is an all wood style that can add some charm to your home. The open wooden shelves are its unique feature. A Mediterranean-style kitchen is colourful, unlike modern ones. The hand-painted tiles, flared hoods, beamed ceilings, arched cooking alcoves and wooden cabinets make this style striking. It features a combination of colours, arches and fancy cooking wares. If you want something different, then select this design and enjoy the compliments from the people visiting your home. This popular 20th-century style features rich wood interiors. All the built-ins, cabinetry and handcrafted tile make this style look appealing. The island of this kitchen is made of natural stone. Also, spotlights brighten up this space evenly along with pendants hanging above the kitchen island. This style is not restricted to one particular type. It is the amalgamation of traditional, Mediterranean-style, modern and more. You can include all the elements such as a white or coloured cabinetry against a wall adorned with the appropriate wallpaper. In this style, you can mix and match all the elements of your choice to reflect your taste. A cottage kitchen style evokes a sense of carefree living with soft colours and open shelves. It features beadboard, vintage hardware, wood floors, colourful curtains and accents. This style doesn’t consist of any dark coloured elements, instead, it’s all white with pastel tablecloths, napkins and curtains. The above-listed kitchen styles are the popular ones to choose from for your home. Select the one that suits your taste and preferences. 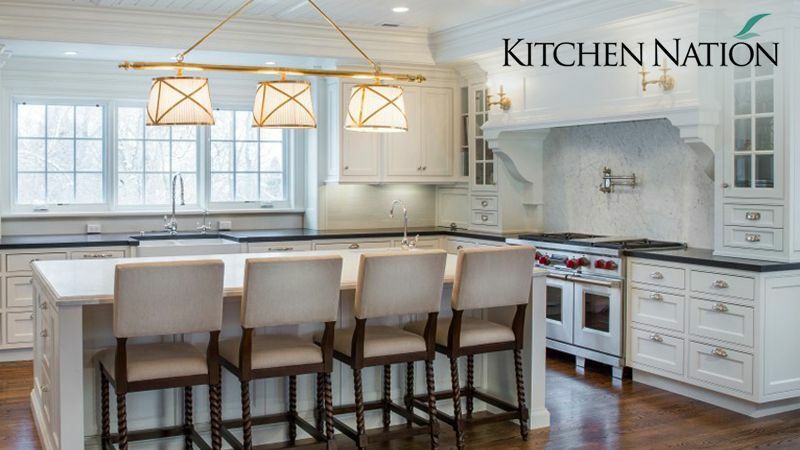 Once you’ve decided, book an appointment with Kitchen Nation experts to discuss your kitchen remodelling project. We’ll also help you with custom cabinets and countertops for your kitchen.